PENN YAN-The Penn Yan varsity football team started the 2017 season with a 60-0 win over Palmyra-Macedon, Friday, Sept. 1. Quarterback Will Rogers posted three carries for 41 yards with two touchdowns. He was also 9-of-11 passing for 250 yards and four touchdowns. Desmond Battin had two carries for 21 yards and a touchdown. He earned a touchdown from his two receptions for 44 yards and secured a punt return for another touchdown. Dylan Stape added another 30 yards for the Mustangs over four carries and 144 yards over four receptions, with a touchdown. Conner Fingar, Brennan Prather, and Kyle Ingerick each earned the team a touchdown. Fingar also posted 14 tackles, while Stape had 11 tackles and one sack. Jakob Lass added 10 tackles, one sack, and one fumble recovery. The Penn Yan varsity golf team beat visiting Mynderse, 253-277, Friday, Sept. 1. Kevin Smith and Clay Koivunemi both led with lows of 47. Max Brodman posted a 49. The Penn Yan varsity golf team lost to Midlakes, Wednesday, Aug. 30. The final score was 260-268. Peter Nicholson led for the Mustangs with a 50. The Penn Yan varsity volleyball team topped Hammondsport in three sets, 25-20, 25-15, 25-15, Thursday, Aug. 31. Emily Wunder posted 10 kills, five solo blocks, seven digs, and three assists. Elissa Callaway had seven aces, four kills, and two blocks. Sydney Bloom earned four kills, seven assists, and six digs. The Mustangs varsity tennis team fell to Mynderse in a home match, 4-1, Wednesday, Aug. 30. Penn Yan's sole win came from Molly Pullen, beating Mynderse's Meredith Perine, 6-3, 6-2. The other scores were: Jenna Curbeau, 6-1, 6-4; Shelby Woodard, 6-2, 6-4; Claire Pullen and Sam Denson, 6-4, 6-1; and Lexi Marble and Abby Heselton, 6-4, 6-0. The Penn Yan tennis team secured a 4-1 win against Prattsburgh, Monday, Aug. 28. Woodard topped Emi Moore, 6-7(4-7), 6-4, 7-6(9-7). Molly Pullen beat Annabella Putnam, 6-1, 6-0. In doubles, Claire Pullen and Denson defeated Kendra Pinkney and Susie Moore, 6-0, 6-4. Marble and Heselton won against Jessica Yeoman and Janey Marzalkowski, 6-3, 6-2. The Mustangs' boys varsity soccer team tied to Bath-Haverling, 1-1, Tuesday, Aug. 29. Fabian Martinez-Sanchez scored for Penn Yan. The Mustangs had seven shots on goal and seven saves. The Lady Mustangs varsity soccer team fell to Bath-Haverling, 1-0, Saturday, Sept. 2. In goal, Melanie Gleason posted 12 saves. The Penn Yan girls soccer team started the season with a 2-0 win against Avoca, Wednesday, Aug. 31. Mariah Hoover and Brady Lodan each scored, with assists from Hayley Andersen. In goal, Gleason earned five saves. DUNDEE--The Dundee varsity football team lost to Lyons/Sodus in overtime, Saturday, Sept. 2. The final score of the season opening game was 8-0. The game went into overtime scoreless. Lyons got on the board with eight points and Dundee was unable to respond. Billy Bowers led the offensive line with 21 carries for 143 yards. Ryan Prior posted 11 carries for 62 yards. Preston Cratsley received the ball three times to earn 53 yards. Sam Richards and Preston Cole posted five tackles each, while Bowers and Austin Brace each had four. Cole also had one punt block. The Lady Scots fell to Hammondsport, 3-2, Wednesday, Aug. 30. Cheyenne Cummings scored both of Dundee's goals, with one assist from Karyanna Rutledge. In goal, Rutledge also posted nine saves. The Dundee boys varsity soccer team lost its opening game to Harley Allendale Columbia, Thursday, Aug. 31. The final score was 8-0. HAMMONDSPORT--The Lakers girls varsity soccer team lost to Williamson, 5-2, Friday, Sept. 1. Cierra Celelli and Madison Wright each scored once. Destiny Hammond and Deonna Deal both assisted. Goalie Megan Allen earned 14 saves. The Lakers topped Dundee, 3-2, Wednesday, Aug. 30. Hammond scored all three goals, with the game winner coming in overtime. Danielle Conley and Celelli each assisted once. Allen had seven saves. The Hammondsport varsity volleyball team topped Bloomfield, 25-19, 25-22, 25-17, Friday, Sept. 1. Brianna Pratt and Elissa Martinez both served up three aces. At the net, Julia Bennett had nine aces, followed by Shelby Sherman with five. The volleyball team lost to Penn Yan, 25-20, 25-15, 25-15, Thursday, Aug. 31. Robin Jenkins led with with five aces, while Pratt posted four aces. Hammondsport beat Northstar Christian, 25-7, 25-17, 25-21, Wednesday, Aug. 30. Bennett posted nine kills, while Sherman had six kills at the net for the Lakers. At the service line, Pratt posted five aces. Hammondsport started off the season with a win against Mynderse, 25-14, 22-25, 26-24, 25-10, Tuesday, Aug. 29. Jenkins posted seven aces. Bennett put down 13 kills with Pratt adding 17 assists. The Hammondsport boys varsity soccer team fell to Addison, 6-1, Saturday, Sept. 2. John Wells scored with an assist by Colin Drain. The Lakers lost to Jasper-Troupsburg, Wednesday, Aug. 31. The final score was 4-1. Drain scored with an assist by Dillan Conley. ODESSA-The Seneca Indians varsity football team opened the 2017 season with a 32-22 victory against Greene, Friday, Sept. 1. Zach Elliott led the combined Watkins/Odessa team rushing with 193 yards total, scoring a touchdown in each quarter. Joe Chedzoy posted the final touchdown off of a fumble recovery. Chedzoy earned a total of 114 yards. "When we were faced with a 22-12 deficit in the third quarter, we dug our heels in and took control of the line of scrimmage," said Coach Trevor Holland. "Without the constant grinding of our offensive and defensive lines, the game could have gotten out of reach quick. I can't say enough about how hard they worked together to get the job done. A very quick and fast Greene team kept us moving, but our endurance and determination prevailed in the fourth quarter." Also rounding out the team's 396 total yards was Casen Weeden running 24 and Derrick Lewis with nine. On the defensive side, Dylan Houseknecht led with seven tackles, while Chedzoy also had six. Elliott made five tackles. 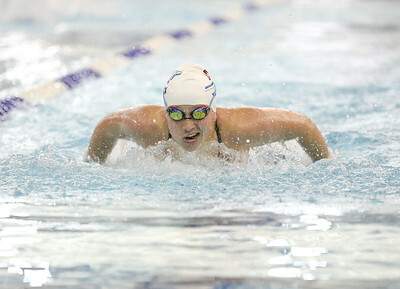 WATKINS GLEN--The Watkins Glen girls varsity swim team lost to Horseheads, 96-84, Friday, Sept. 1. Lexi Castellaneta took first in diving (275.95). Amanda Wilbur was first in the 100 butterfly (1:08.22). Sarah Swinnerton placed first in the 100 breaststroke (1:23.82). The Watkins' girls varsity soccer team fell to Elmira Notre Dame, 7-2, Friday, Sept. 1. Hannah Morse scored both times for Watkins. Isobel Scheffey assisted once on the second goal. Cierra Barber earned 30 saves. With the loss, the Senecas' record is now 0-2. The Senecas' girls varsity soccer team lost to Trumansburg, Monday, Sept. 28. The final score was 5-2. Morse and Danielle Leszyk both scored once. Leszyk also posted one assist. Goalkeeper Barber had 15 saves in goal. The Senecas' boys varsity soccer team was beat by Union Springs, 4-3, Wednesday, Aug. 30. Josh Updyke scored twice, once assisted by Avery Watson. Regan Scholtisek scored once, with an assist from Updyke. CAMPBELL--The Odessa-Montour girls varsity soccer team fell to Alfred-Almond, Friday, Sept. 1, finishing second in the Campbell-Savona tournament. The final score was 4-0. "Odessa had a difficult time intercepting the passing scheme," said Coach Marc Kimmerly. "Alfred Almond took advantage of their ability to dictate the passing lanes and forced us to react to their movements instead of us controlling ours. Odessa looks to improve on our possession percentage and to increase our scoring opportunities in the upcoming games." Four Odessa-Montour girls were honored with All-Tournament selections: Alexis Saunders (three goals), McKennah Lott (defense), Gillian Clark (keeper), and Grace Vondracek (hustle and physicality). Odessa topped Campbell-Savona, 3-1, in the first round of the tournament, Thursday, Aug. 31. Saunders scored all three goals for Odessa, with one assist each from Lott and Hunter Daugherty. In goal, Clark posted eight saves. The Odessa-Montour boys varsity soccer team topped Moravia, Thursday, Aug. 31. The final score was 6-0.